The Venezuelan Ambassador to the UN in Geneva, Jorge Valero dismisses report by UN High Commissioner for Human Rights, Michelle Bachelet, about the situation in his country, assuring that there is an incidental "false international media campaign". 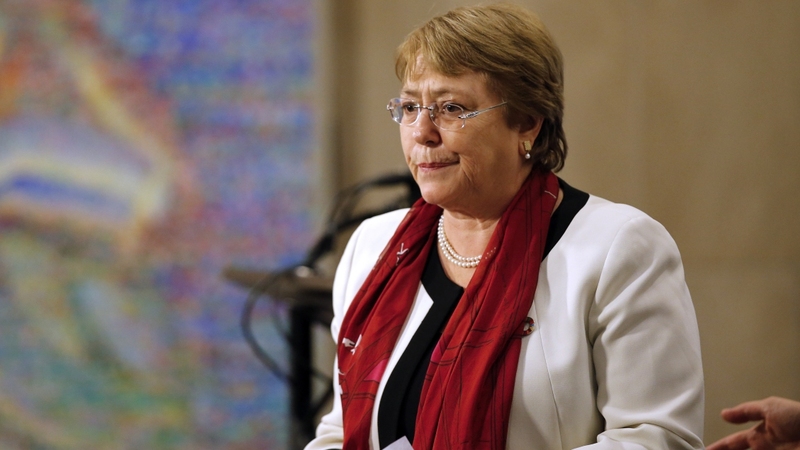 In his speech on Wednesday before the Human Rights Council, the former Chilean president convinced her office "documented" numerous violations and human rights abuses committed by the security forces and armed forcesincluding excessive use of force, murder, arbitrary detention, torture and abuse in detention conditions, as well as threats and intimidation. " In response, the Venezuelan delegation accused the United States and their "regional assistants" of being behind the violent demonstrations in the country, the attack on Nicolas Madura in August 2018 or the recent general blackout in several Venezuelan cities, among other events. "Violent and criminal actions that have been repeated in Venezuela in the last few years are promoting an outsourced sector that is financed from abroad"Valero said in his speech at the European headquarters of the United Nations. He recalled that "President Nicolas Maduro called for a visit to Venezuela where he could see the real situation in the country twisted with a fake international media campaign that had impacted his oral report." "His Venezuelan office team was fully supported by the Venezuelan state to fully fulfill its mission"He said of the delegation of experts from the Office of the High Commissioner for Human Rights who is in the country, for which Bachelet has asked to be given access to the places and people they choose without retaliation against them." interview. "We are a free and democratic country in which human rights fully enjoy, in accordance with the Constitution and the Laws, human rights, their promotion and protection, must be sacred elements of the UN, should not be used as an excuse to create more violence and human rights violations, "Maduro said at the UN. During the exhibition Valero, representatives of the Lima and Brazil group left the session of the council. Foreign Minister Ampuero: "We welcome these efforts"
For its part, the Chancellor of Chile Roberto Ampuero He welcomed the "efforts" of the UN Human Rights Office. "All that contributes to the early restoration of democracy in Venezuela is important and positive. In that respect, we welcome these efforts"he convinced himself." He insisted that "everything that contributes to something essential to the international community is to bring democracy back to Venezuela as soon as possible, and to peaceful, political and constitutional means, all that is positive". While the president Sebastián Piñera, which is in Argentina, He met in Buenos Aires with UN Secretary General, António Guterres, to talk about the situation in Venezuela.